From effluent filter installation to maintaining the system, we provide the services you need for a healthy septic system in Polk City, FL. 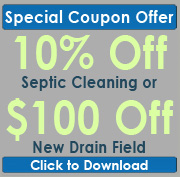 Your septic system needs your effluent filter to do its job. These filters remove solid waste so it does not clog up the septic tank. When properly installed and maintained, the filter will prolong the life of your septic system. That is why so many Polk City, FL residents choose Southeastern Septic LLC. 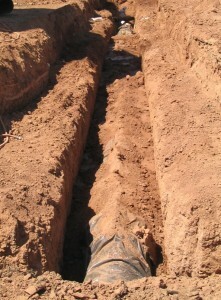 Our team of skilled technicians handles any septic issues that come our way, including effluent filter installation. Do You Need an Effluent Filter Installation? If you are on the fence about getting an effluent filter installation, you are not alone. A lot of people don’t know how to determine if it is time for a replacement filter. If you notice water pooling around the septic system, or your plumbing is backed up, you likely have an effluent filter problem. Start by cleaning the filter. If that does not work, it is time to get it replaced. Once you have your new filter, make sure it stays in working order. The best way to do that is to clean it on a regular basis. While most companies recommend cleaning the filter every six months, it is actually a good idea to check it on a monthly basis at first. That way, you will know how dirty your filter gets in a month’s time. That will help you determine when you need to clean it in the future. Each filter has manufacturer instructions that our technicians can go over with you at the time of the installation. Keep those instructions handy and refer to them as needed. Contact us at Southeastern Septic LLC today for all of your septic system needs. From installing effluent filters to complete septic systems, we are company of choice in Polk City, FL. Southeastern Septic offers quality Effluent Filter Installation services in Polk City, Lakeland, Zephyrhills, Mulberry, Bartow, Polk County, Winter Haven, Plant City, and Auburndale.